From designing to manufacturing, we create the bespoke hose assemblies that convey materials for applications such as food, beverage, pharmaceutical, water, air, fuel, chemicals and much, much more. 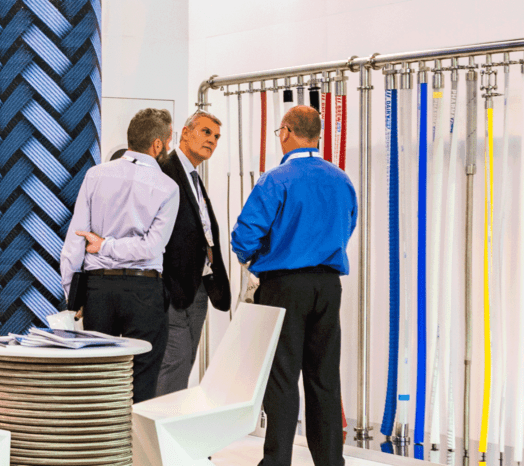 Flextech specialise in finding the solution to a hose problem rather than just simply selling the cheapest product because in our world having a fit for purpose hose solution is everything. When investigating a problem you may find a good hose used in the wrong application which can be a costly disaster. For this reason our prime objective is to help you to make the right choice and then follow it through with detailed technical support. 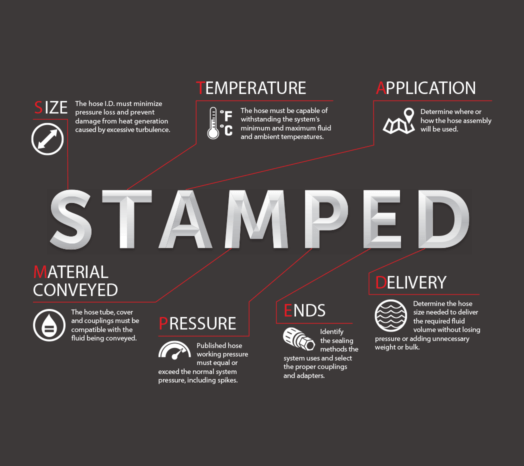 STAMPED is a simple way of detailing the critical requirements that we need from you before we can design and build your hose assembly. At Flextech we will run through all these requirements with you before we begin manufacturing so the responsibility for success is not just up to you! To ensure that you get a hose that is fit for purpose Flextech will work with you to dig deeper and determine not only the answers to the basic requirements of S.T.A.M.P.E.D. but also all the hidden variables of your niche application that need to be brought into the equation. Essentially, we’ve grown up with the industry and as it’s matured we’ve been able to develop a unique perspective on things. We understand the quirks of certain products, the suitability of specific materials and the engineering capabilities offered by individual manufacturing methods.